MOM’s has a price guarantee, which states that on all same-branded packaged products, we will cost the same or less than Whole Foods and other natural foods stores. A couple of years ago, Consumer Checkbook did a 3rd party survey of our prices and found us to be 7% less than Whole Foods and 4% less than Wegman’s. Our own internal data now even shows us to be approximately 10% less than Whole Foods. So I believe that when people say that we are expensive, for the most part they’re saying that organic foods are expensive, not MOM’s in particular (or they’re misinformed, because sometimes they do claim we’re more expensive than Whole Foods or Wegman’s). Rather than ask why is MOM’s expensive, I think we should ask why are Walmart, Safeway, etc. so expensive? I realize that the 2 chemicals banned aren’t used specifically for food production (they’re being used to control mosquitoes), but it’s one example of the many hidden costs of what are assumed to be “solutions” to problems. A friend of mine drove the Eastern Shore last weekend touring the local oyster farming industry. He ran into some poultry farmers while he was down there, and they are up in arms over the new proposed Poultry Fair Share Act, which will charge tax to large chicken suppliers of 5 cents per chicken. The tax will be paid to the Bay Restoration Fund and used to fund cover crop programs on lands where chicken manure was applied, i.e. to clean up the havoc that the poultry industry constantly wreaks on the Chesapeake’s ecosystem. Since the industry won’t spend the money to clean up after its own mess, the government is forced to step in and do it for them. Using chemicals to grow non-organic food hastens climate change. The carbon footprint of fertilizer production and delivery is substantial, estimated at over 1,200 million metric tons per year in the US alone. As weather patterns become more severe and unexpected (hurricanes, droughts, flooding), there is a large cost in many categories, including crop losses and infrastructure damage. Pesticides, herbicides, hormones, and antibiotics are currently used on 99% of American farmland. These chemicals contaminate our waterways, often impacting other industries (like crabs and oysters here in the Chesapeake). Inevitably, environmental groups, other industries, and taxpayers are left holding the bill to clean up the mess. Entire species can become threatened, as has recently happened with honeybee and Monarch Butterfly populations. Honeybee CCD (Colony Collapse Disorder) is thought to be linked to the traces of pesticides in high-fructose corn syrup. Sharp decreases in Monarch Butterfly populations are being linked to GMOs. This has cost the honey industry and farmers billions of dollars in loss production due to pollination deficiencies. Along with the decades of increases in carcinogenic chemical residues in our food, cancer rates have increased. Not only does this lead to human suffering, but the medical costs make insurance rates higher for us all. Conventional foods often have high-calorie, nutrient-deficient ingredients such as high fructose corn syrup and white flour. Obesity rates have risen dramatically from 13% to 35% since 1960, which leads to more cardiovascular disease and type 2 diabetes. The estimated costs to the healthcare system of these ailments are $190 billion annually. The conventional industry receives massive amounts of government subsidies (corporate welfare) while the organic industry receives virtually nothing. The new Farm Bill allots taxpayers to pay out $956 billion over the next ten years to highly profitable agribusiness such as Tyson, Monsanto, and Cargill. We taxpayers are subsidizing them to do the wrong thing. Corporate America will forever work its hardest to keep Big Government off their backs, but who’s going to keep Big Corporations off our backs? It would be nice if the free market would fix this- and if average consumers were informed enough to consider the hidden costs of products and shop accordingly. But this isn’t going to happen any time soon, if ever (especially considering the constant bombardment of misinformation put out by large corporations). The burden to society caused by conventional farming is constantly deferred to other industries, citizens, taxpayers, and non-profits. The lower price of conventional foods reflects these deferred hidden costs. Those who buy conventional foods over organics because they’re cheaper, selfishly do so- happy to kick the can down the road to those of us who keep informed, continue to recognize hidden costs, and keep doing the next right thing. I see headlines like this all the time, carrying news that another independently owned and operated organic company has either sold to a private equity (PE) investment group (think Bain Capital) or to a large corporation like Campbell Soup (in this case, Plum Organics has done both- private equity in 2010 and Campbell Soup in 2013). About 2 weeks ago, Earthbound Farm was purchased by White Wave, which is owned by Dean Foods. Independently-owned companies are becoming fewer, and stick out among the crowd. The only large company in the natural foods industry that is still independently owned that I can think of is Trader Joe’s (around $8 billion, and I barely consider them a member of the natural foods industry, let alone the organic industry). The founders (the Albrecht family) also own conventional discount grocer Aldi’s. I get the feeling that the smaller, independent, family-owned companies have the ultimate goal of cashing in and are just waiting to get big enough. This seems to be the trend. I was at the Organic Trade Association’s annual gala in September (I am an OTA board member). Each year, we give awards to industry pioneers. This year’s winners included Arran and Ratana Stephens, who founded Nature’s Path. Arran specifically said (before launching into song, btw! ), “to my friends in the investment community, we are not for sale and we never will be.” He was asked who he admires in the industry. He paused and said, “Most of the people whom I’ve admired have sold out, sometimes much to their own regret.” This really stood out to me, as Nature’s Path is now a $100 million company. The Stephens would get a lot of money if they sold. In the retail sector, there is a well-run substantial co-op chain ($250M in annual sales) on the west coast called PCC Markets. Being a co-op, they are obviously not owned by a private-equity group or a big corporation, but they’re not really independently owned either. I think Jimbo’s on the west coast is still owned by Jimbo, so there’s one. Whole Foods, Earth Fare, Sunflower Farmers Markets, Sprouts, Natural Grocers/Vitamin Cottage, Mrs. Green’s- none of these companies are independently owned and operated anymore. Whole Foods has purchased independent Mrs. Gooch’s, Bread and Circus, Wild Oats, Harry’s Farmer’s Markets, Wellspring, and Food For Thought. Even local companies like Sweetgreen and Honest Tea are now partially owned by a PE group or owned by a large corporation, respectively. With MOM’s rather rapid expansion, the PE groups are starting to call. About a year ago, I received a call from the former CEO of 7-Eleven (and Blockbuster Video), who now represents Ron Burkle’s Yucaipa investment group. He asked me to “seriously consider selling MOM’s” to them. After listening to their plans, I suggested that the concept they are trying to launch is similar to what Tesco was doing with Fresh and Easy on the west coast- and I expressed concern that it wouldn’t work. I never heard back from them but, a year later (this past fall), they purchased about 200 defunct Fresh and Easy locations from Tesco. Earlier this year, I received a call from yet another PE group, this time represented by the former CEO of Borders Books. I told them that I appreciate and am flattered by their interest, but that I’m not interested. The PE groups insist that we need their money, talent, and Rolodex to take advantage of opportunity before competitors enter the market and MOM’s becomes obsolete. My Leadership Team works and communicates so well together- and they’re so good at identifying problems and finding solutions. I think we’re capable, more capable than most of the advisors at PE firms actually, of growing MOM’s regionally/nationally and of further accomplishing our Purpose to protect and restore the environment. If I were ever to sell MOM’s, I’d have to have a plan to do fulfilling work in the aftermath- and to do good with the proceeds. 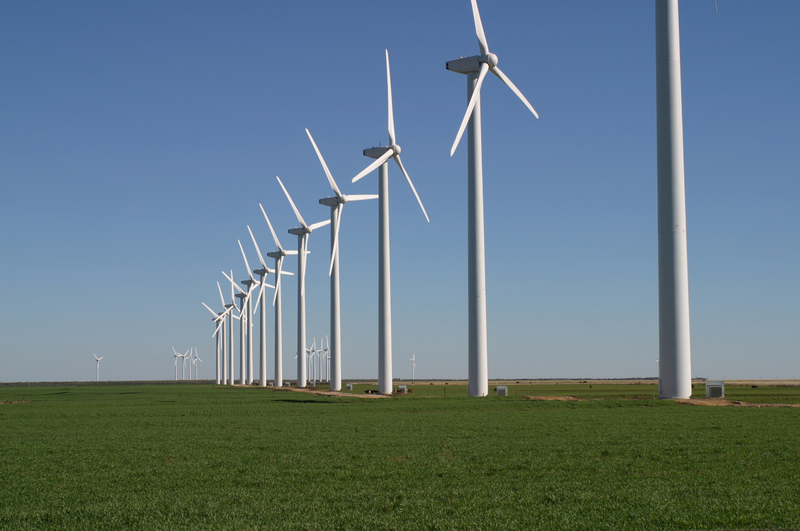 I could see taking on projects like building a wind farm or cleaning up the Chesapeake watershed, but the wonderful thing about MOM’s is that I can retain ownership and control and we can still accomplish such goals. And what about the wonderful community and culture we’ve built here at MOM’s? Regardless of my ambitions, I’d feel responsible for keeping that intact, which would be left to chance if I weren’t running the company. Here’s the thing: I love running MOM’s. It’s challenging and it’s work I love doing. The community here is amazing. I enjoy my co-workers. Our customers are fantastic. The people we buy from are truly partners. And my work has purpose. Regardless, the temptation to sell is real. Some people sell and never have to work again. While we’re told by society throughout our lives that this is the ultimate goal, my gut is telling me that I wouldn’t be happy- and I think many people who chase the big payout find the experience anticlimactic at best, depressing at worst. I believe the bigger MOM’s is, the better for the world (Does Big = Bad?). If MOM’s becomes a national company, then we’ll be able to have an even greater positive impact on the environment. The only way I could see us “selling out” is if we hit a ceiling in capital and talent and our growth becomes stunted, but so far MOM’s is doing great without outside help- and I don’t see that changing anytime soon, if ever. Now, this is an extreme case of a zealot- and I don’t even think most animal rights zealots (let alone activists) would agree that we are “no different at all from Safeway and Giant.” I appreciate passionate people, but when they cross the line into this perceived black and white world, they hurt the very causes for which they fight. Every movement has zealots. I can empathize with the Republican Party these days. The Tea Party zealots are tying the hands of the entire conservative movement. Zealots had the same impact on the 2000 election when the Green Party and those who supported Ralph Nader claimed that Al Gore and George Bush were the same- “part of the same corrupt 2-party system.” Well, I’m pretty confident that Al Gore wouldn’t have invaded Iraq, resulting in the deaths of thousands of US soldiers and hundreds of thousands of innocent Iraqi civilians (not to mention a huge financial price tag). And I’m sure Gore would have supported clean energy and we’d be much further along in the battle against climate change (will those 8 years of lost time take us beyond the tipping point?). Back in the late 1990’s I had one store- the one on Parklawn Dr. in Rockville. One beautiful Saturday afternoon customers started complaining about a horrible smell in the store. It was overwhelming. We opened the doors to get some ventilation, but the stench was unrelenting and flies started coming in. We thought we had a sewage back up. When we closed for the day, the smell was so strong that we were actually able to track its source to the cereal section. We took boxes off the shelves and peeked behind to find some organic, locally raised chicken cutlets bubbling up out of an exploded plastic package. I had no idea why anyone would put them there. Did I have an enemy? Maybe a disgruntled employee? The following weekend, a cashier told me she recognized an animal rights activist group in the store and that she saw them take fish sticks out of the freezer, but that they didn’t have the product at checkout. So we traced their steps and sure enough found the fish sticks behind some other shelving. The cashier knew one of the activists and where he lived, so I called the police. The police went to his house and we never saw them again. Less than 1% of our total sales at the time were from meats. Everything we sold was free range and free of antibiotics and hormones. Yet, this is the black and white world in which a zealot lives: either you perfectly align with their agenda or you are The Enemy. There is no grey area and no consideration for effective progress. I used to have a soft spot for the animal rights movement, but this incident and repeated emails like the one above have pretty much taken the issue off my radar in terms of support. A zealot doesn’t realize that making the world a better place is a process, not an event. The organic farming movement illustrates this. People gradually educate themselves on the merits of organics and begin to explore organic products, often times purchasing basics such as milk, baby food, eggs, etc. while getting mostly conventional products at Safeway or Giant. Then, the consumer might decide to frequent the local farmers market and start regularly going to Whole Foods for some favorite items. And then when they really want to make organics a lifestyle, they end up walking through our doors- filling their carts with amaranth and quinoa, raw almond butter, dandelion greens, medicinal teas, sprouted whole grain flours, etc. It pains me to see zealots on issues that I generally support, because they are just as effective at setting back the movement as the opposition is- often more so. 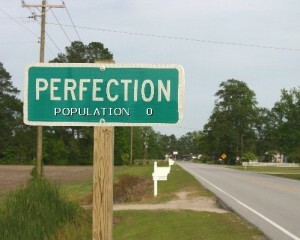 In their demand for perfection, they stand in the way of progress. Enlightenment is a journey, not an event. Zealots not only need to stop trying to whip people into submission, but to clear the way, offer guidance, and walk arm in arm down the path of progress. 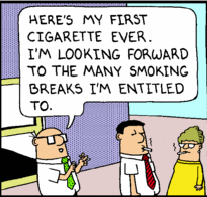 We recently launched an internal anti-smoking initiative. Our goal is not to lobby MOM’s employees to quit smoking, but to ensure that non-smoking employees are treated fairly. For years, my office was either at the produce prep sink and/or in the back of the store. I began to notice that some employees would go outside for a few minutes to smoke. There was something inherently unfair about this, so I told them they needed to punch out for smoke breaks. Back then, I was in charge of payroll- and it wasn’t automated. I had to calculate everyone’s weekly hours by calculator. Suddenly, calculating payroll was taking much longer, as some employees had 10+ “shifts” per day from all of their smoke breaks. I felt like I was chasing my tail with this issue. I’ve found that morale plummeted in stores where our management smoked. Employees lost respect for supervisors who were smoking instead of working. They felt that others who smoked with (or without) the managers got special treatment. The smokers were sometimes out of earshot of our paging system, so they weren’t able to help in a pinch. This left the non-smokers to fend for themselves no matter how urgently help was needed. Sometimes smokers would come off break and smell like smoke. Not a pleasant experience for any customer. Employees seen smoking by customers was terrible for our image. Back in 1987 right before I started MOM’s (then called Organic Foods Express), I used to work at Organic Farms Inc. 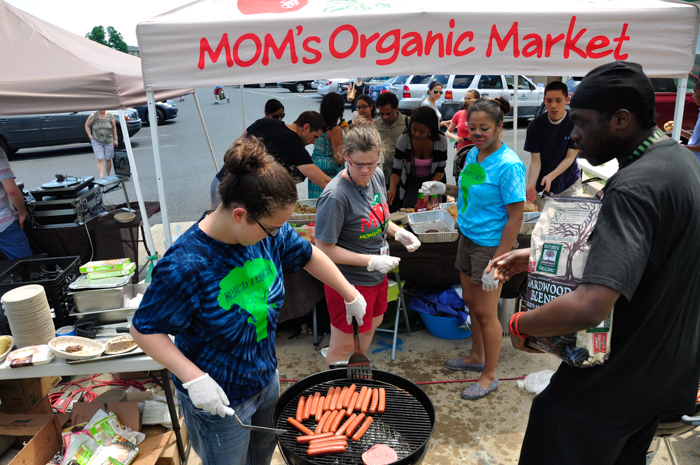 It was an organic produce distributor open to the public on weekends. I remember customers whispering the dirty little secret about Organic Farms- the owner smoked cigarettes. This led them to believe he wasn’t committed to health and organic foods. Exxon was started in 1870 by John D. Rockefeller. An entire industry and really, a way of life, was created as a result. How many trillions of dollars in profits have been made since? And how many trillions of pounds of CO2 have been released into the atmosphere? 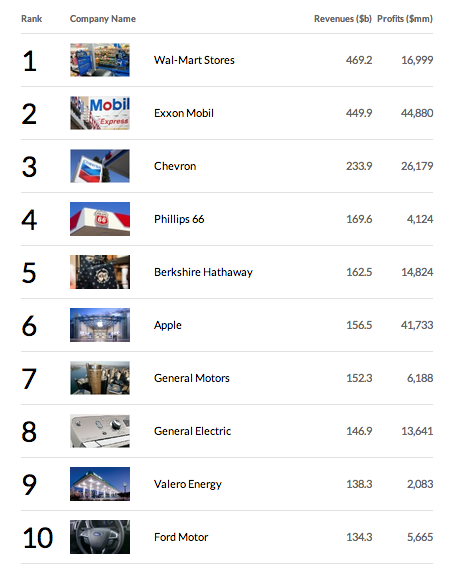 The auto/petroleum industry is the most powerful on the planet. There are disrupter industries coming onto the scene- like electric cars and solar and wind energy. They are gaining traction and we must support them to the fullest extent we are able, but this is a large ship and it’s going to take a lot of effort to turn it around. Regardless of the feat at hand, I find great comfort in knowing that there are millions of consumers like us who are unrelenting and have faith that we will eventually create a new, sustainable world. I love my job for many reasons. One of the main reasons is that I am constantly bombarded with information, data, and opinions from customers and employees. This puts me in the fortunate position to learn. As many of us realize, the best part about being alive is learning. I’ve been a customer at your stores for 7 years. I really like your store, as it has great a great selection of natural and organic products. Lately, I was told that I can not come into the store unless I had shoes on by an employee. I was told that I had to wear shoes for my safety. I have no problem with any other store in the area, such as Lauer’s Super Market, Safeway, Walmart, etc. in terms of being barefoot. I really do like your store, but I am getting to point where I would rather just go to another store than have to deal with being told that I have to put shoes on. I just don’t want to be hassled in that way. Being barefoot, for me, is a lifestyle choice I made 2 years ago as a means to improve my health, and it works. The only time I have anything at all on my feet is when I deem it necessary to protect them from injury such as on construction site or at work. I hike trails and roads and I drive barefoot and go to many other stores and restaurants in the area barefoot without prejudice. And prejudice it is when you employ a no shoes, no shirt policy. It has no logical basis at all. At the time the no shirt, no shoes, no service sign came in existence, in the late ’60s, it was designed to keep hippies out of stores. Plain and simple- prejudice against a certain group of people. The concept is antiquated. There is no law regarding footwear or lack of for customers in a retail establishment. 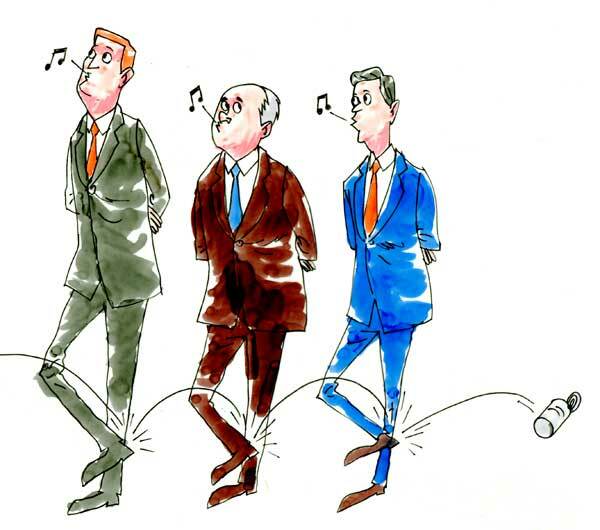 There is virtually no chance of liability from a barefoot customer getting injured in your store, because being barefoot, in itself, is seen as a voluntary choice on the part of a barefoot person who acknowledges a certain level of risk in doing so. Also, a habitually barefoot person KNOWS where his feet are and is more aware of their surroundings and the surface they walk on than people who habitually wear shoes. There is a much greater risk to you by allowing flip flops or high heels on your stores. Check with your legal department on the number of lawsuits from people that wear shoes vs. barefoot. There have been virtually no barefoot injury related law suits filed in the US in the last 100 years vs. thousands from shod customers. I would like you to rescind your anti-barefoot policy as I do like the selection in your stores. I just can not do business with a company that has an ingrained policy based on myths and prejudice that, while they want my money, is disrespectful of my personal lifestyle choices. I was brought up in a house where the smell of bleach was quite common. As a family, we always used separate utensils for serving food and never shared drinks or ate off each other’s plates. If a grape fell on the floor, it was discarded. My mom put bleach in the dishwasher. Mom still bleaches her dishes and whips out a bottle of Purell faster than a quickdraw gun fight in a western movie. Over the years, my wife has been quick to point out how irrational it is that I won’t drink out of her water glass (or let her drink out of mine), but I will kiss her. I do all of the cooking in my house. I love to cook and was brought up valuing family meals with high quality food. But, I think one of the reasons why I’ve always cooked for myself (and now my family) is because others’ cleanliness standards were below mine. Over the past few years, I’ve experienced a transformation. I’ve now boomeranged over to the Dark (dirty) Side. I eat off my kids’ plates. I eat stuff that’s fallen on the ground. I share drinks. I eat snacks that have been tainted with grubby kids’ fingers. I eat my meat and seafood even more rare than before. My eggs are now over VERY easy. 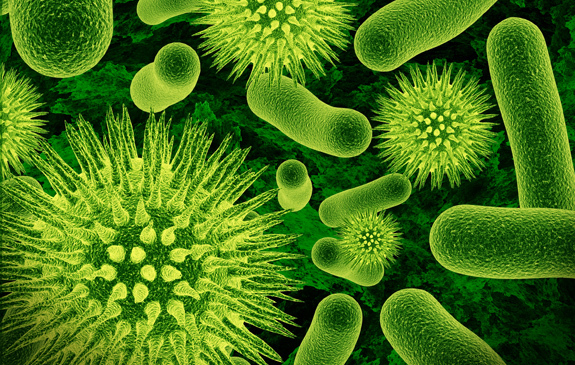 I no longer view germs as the enemy, or at least I no longer view them as intruders that my body can’t easily defeat. Sure, bacteria is sometimes deadly, but my gut-feel risk analysis tells me I’ll be OK. I was pushed further towards the Dark Side when, on a recent car trip, we were showing our kids the Cosmos series on the car TV. In an episode called “One Voice In The Cosmic Fugue” Carl Sagan explains: due to billions of years of natural selection, life has thrived. The human race and all organisms today represent 4 billion years of perfect evolutionary adaptation. In a nutshell, I now trust and have confidence in my body’s immune system. I am typically on my own in the store and thus rarely have need of a restroom, but I used the one there for the first time last week. While I did note that the soap there is apparently “Triclosan free,” I question why MOMs is reinforcing the use of “antibacterial” soap at all? As a researcher and health and safety advocate, I’ve been frustrated by antibacterial products on the market now for more than a decade. You probably know that antibacterial soap, whether Triclosan or other, cleans no better than regular soap. While your store may be choosing a better and safer antibacterial product than that available in the mainstream, using harsh and dangerous endocrine disrupting chemicals like Triclosan and similar, I’d really like to see informed locations like MOMs… going further to actively educate their customer base about the choice. The customer included several links about the harmful effects of antibacterial agents. NIH investigators found that triclosan impairs heart muscle function; the American Medical Association suggested in 2000 that use of anti-microbials be discontinued; an effort to ban triclosan was introduced to the American Public Health Association. The Minnesota government won’t even buy antibacterial products anymore! In MOM’s store bathrooms, we use hand soap with natural antibacterial thyme oil. 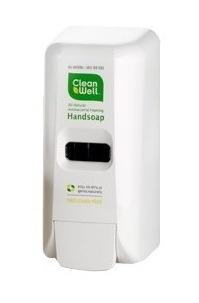 This soap is effective, safe and shows that there are alternatives to the harsh chemicals contained in many hand soaps. While I don’t think it’s particularly necessary for our soap to be antibacterial (even if all-natural and Triclosan-free), I think this is a good compromise. Thanks to this customer, soon there will be signs posted in all MOM’s bathrooms that urge people to think twice before using conventional antibacterials in their hand soap.